别 名 C17orf1; C17orf1B; CLL associated antigen KW 13; FHOD4; FMNL; Fnrl; Formin like 1; Formin like; Formin related protein; Frls; KW 13; KW13; Leukocyte formin; MGC133052; MGC1894; MGC21878; FMNL_HUMAN. FMNL1 (Formin-like protein 1) gene encodes a formin-related protein. Formin-related proteins have been implicated in morphogenesis, cyokinesis, and cell polarity. An alternative splice variant has been described but the full length sequence has not yet been determined. FMNL1 possibly has a role in the control of cell motility and survival of macrophages. May play a role in the control of cell motility and survival of macrophages. 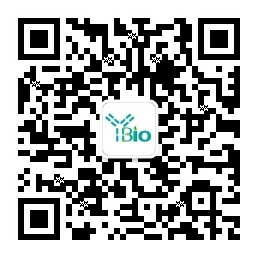 Plays a role in the regulation of cell morphology and cytoskeletal organization. Required in the cortical actin filament dynamics and cell shape. Interacts with RAC1, PFN1 and PFN2.Interacts (activated by RAC1) with SRGAP2 (via SH3 domain); regulates the actin filament severing activity of FMNL1. Cytoplasm. Cell membrane; Lipid-anchor. Cytoplasmic vesicle, phagosome. Note=Recruited to actin-rich phagosomes during phagocytosis. Translocates to the plasma membrane upon activation by RAC1. Isoform 3: Cytoplasm, cell cortex. Cell projection, bleb. Note=Colocalized with F-actin in bleb protrusions. Myristoylation mediates membrane localization and blebbing.